1 Comment on World of Warships: Update 0.8.0. The Aircraft Carrier Rework is upon us! Well, well, well… Here we are Ladies and Gentlemen. The update 0.8.0 is finally here and the Aircraft Carriers rework as well. It is time to look at one of the most debated updates ever released. Here is also the presentation of the update by Dasha. The update size is 1.3 GB, nothing special. As usual, during the installation of the update, the servers will not be available to the players. The server will not be available on January 30 from 02:00 AM PT until 05:00 AM PT. The server will not be available on January 31 from 05:00 (UTC+8) until 08:00 (UTC+8). Alright, let’s start with the big fish. Well, this rework was already covered a couple of times and I think that by now what we are about to face. The whole RTS style of gameplay is removed from a more action based gameplay similar to the one you have with surface combat ships. You will also control only one squadron at a time. Dive bombers carrying HE bombs for the US carriers (except Enterprise that uses AP bombs on her current version) and AP bombs for the IJN carriers (except Kaga that carries HE bombs). An important thing to note is that the bombs now have a ballistic that will force you to lead a bit to get the bombs where you want them. It also means that the AP bombs of they are dropped at the last moment can bounce on the deck of ships. Torpedo bombers carrying 1 or 2 torps depending on the carrier. The IJN torpedoes have a longer ranger and if you build your Hakuryu around stealth, you can drop the torpedoes towards enemy ships without even being spotted. It takes a bit of time to aim them properly as there is no indicator but once you get it, they are really amazing. Attack aircraft carrying rockets. These are an all-new type of aircraft. Overall, the US rockets are better especially on the Midway with the HVAR rockets that simply saturate an area by the sheer number and the Tiny Tims with their great penetration and alpha damage. Now for a fully detailed explanation of the rework, I seriously invite you to read these 3 articles that cover all the aspects of that rework that changes quite a lot of things in this game. If you ask me, overall, that rework is not bad but there is still a lot of work to do. There is the problem of the controlled permanent spotting of a target that will especially be displayed during the competitive tournaments unless they modify it before. 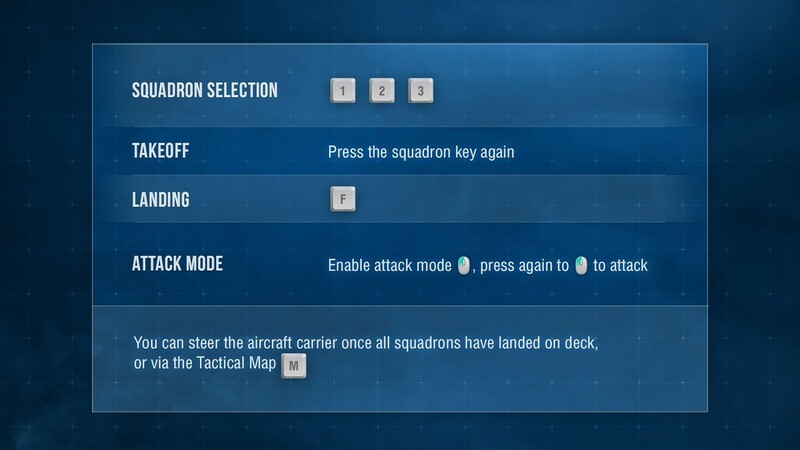 There is the problem of DDs without the consumable Defensive AA that will certainly have “fun” with attack aircrafts (especially with the HVAR rockets I talked about) and also, I’m still not a fan of having Radio Location working on planes because it gets even more brutal for the DD hunting. For this one, I invite you to read our previous article covering the new season. The amount of Steel you can get (5,500) will not change, either. After the great success of the Supply Line event, Wargaming decided to implement it as a full feature of the game. Take part with your clan to gain some nice amounts of oil. “Engagement”: From Friday till Sunday. Here you will compete against another Clan and your primary task will be to outscore the adversary by the number of stars you get. Stars will be issued for earning base XP with ships of different types and nations. Well, we have quite a few buffs and nerfs here. Starting from now, the skill Concealment Expert will provide a uniform -10% bonus to the detection of all ship types (and planes). If needed, some ships will, of course, get buffed to compensate from the lose of concealment. Side comment: If anyone is able to say that Izumo is weak now, I seriously don’t know what the person needs. Sadly though, the ship is still absolutely ugly. This turns Kii into a battleship with more opportunities to use her torpedo tubes, elevating them beyond being a weapon of “last resort”. Previously using them required players to expose the ship’s broadside to enemy fire, due to the restrictive launch angles. By reducing the reload time of the ship’s guns, we emphasize the role of Nagato as a battleship with good maneuverability, with her small number of accurate guns coming at the cost of armor protection. Reducing the reload time will compensate for the small caliber of Dunkerque’s main guns, making the battleship better balanced against other battleships at Tier VI. Increased the sigma parameter from 1.8 to 1.9, improving the ship’s firing accuracy with a tighter grouping of shells inside the dispersion ellipse. Despite the fact that the destroyer has one of the best damage-per-minute statistics for her tier, the specific ballistics of her guns often prevents this ship from realizing this advantage when engaging other destroyers. The new parameter won’t change the features of her main battery ballistics, but will significantly increase her efficiency in combat with enemy destroyers at close range. “High risk, high reward” gameplay, employing torpedoes with a short range and good speed, capable of causing a great deal of damage. Adding the “Repair Party” consumable will allow for more effective duels with enemy destroyers, making the progression to Tier X more logical. British Tier V cruiser Exeter has been added for testing by developers, supertesters and community contributors. In celebration of the Lunar New Year, we’ve added new containers, camouflage patterns and unique Commanders. Lunar New Year 2019 Container and Lunar New Year 2019 Premium Container. 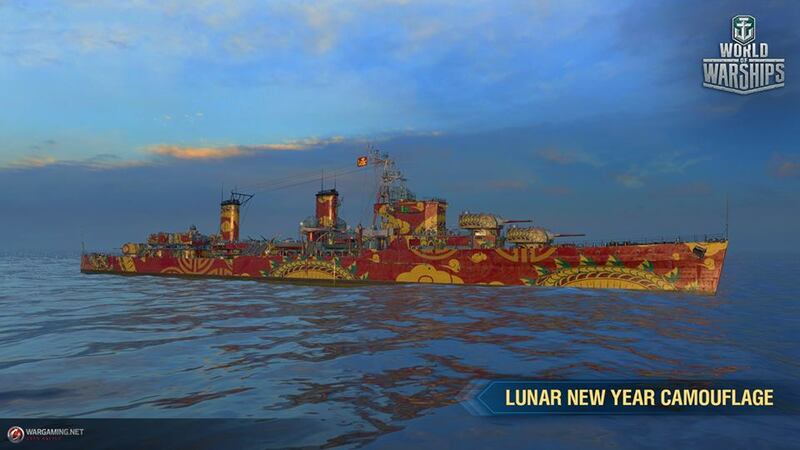 The Lunar New Year camouflage and special permanent camouflage patterns for Anshan, Loyang, Huanghe and Irian. The Dragon Port has been changed. The Port will be shown at night. We also added some new sounds. We added two unique Pan-Asian Commanders—Dà Róng and Quán Róng—each with enhanced skills. +6% to the chance of HE bombs causing a fire on target. Commander Dà Róng will be available as a reward for completing a chain of combat missions, while you can obtain Commander Quán Róng via the Arsenal. 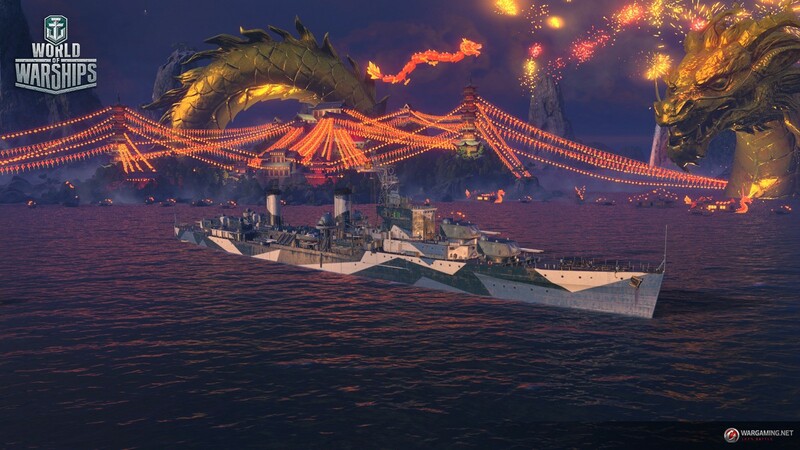 Starting from Update 0.8.0, Tier IX ships Musashi and Kronshtadt won’t be available for purchase with Free XP, and cannot be obtained for Coal in the game client either. These ships are becoming extremely popular at their tier, and to avoid Tier IX battles being packed with these ships as well as to maintain adequate team setup diversity, we decided to remove the possibility to purchase or obtain these ships for an indefinite period. 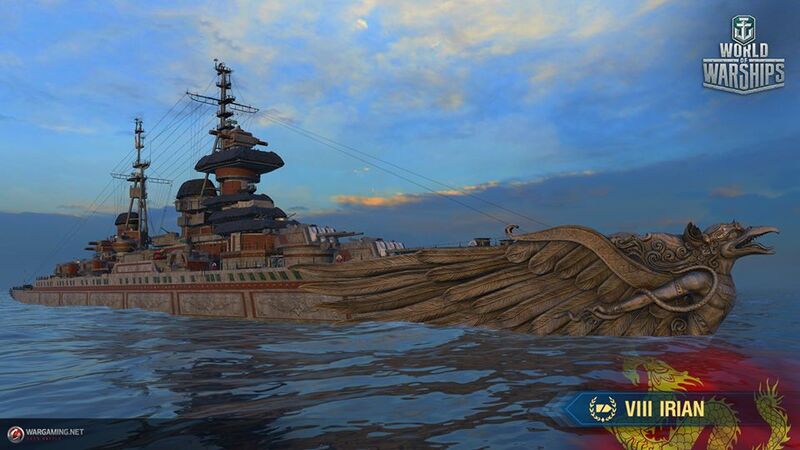 These ships have already been replaced with a French Tier IX battleship Jean Bart, and we also plan to offer U.S. 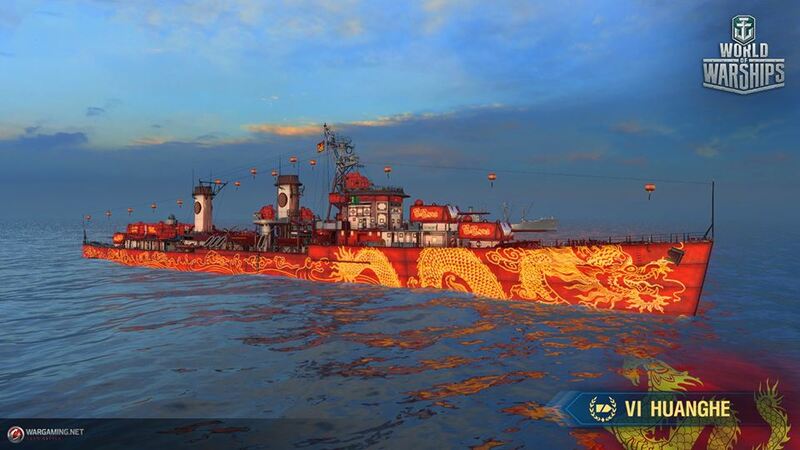 Tier IX cruiser Alaska in the near future. A new set of bundles is available with Lunar New Year 2019 containers and other in-game goodies in the Arsenal. For guaranteed receipt of the main reward, a unique Commander named Quán Róng and Premium ship VIII Irian, be sure to obtain the bundles consecutively and in sequence, one by one. 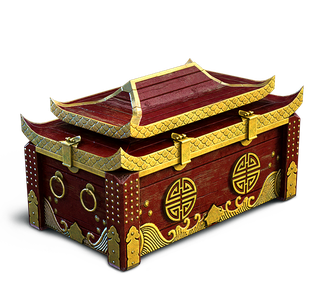 You may even find that Premium cruiser Irian drops into your hands in one of the Lunar New Year containers that are part of the bundles. 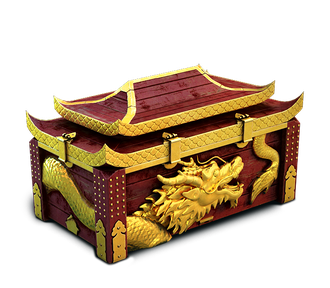 15x Lunar New Year 2019 containers, available for 8 888 doubloons. 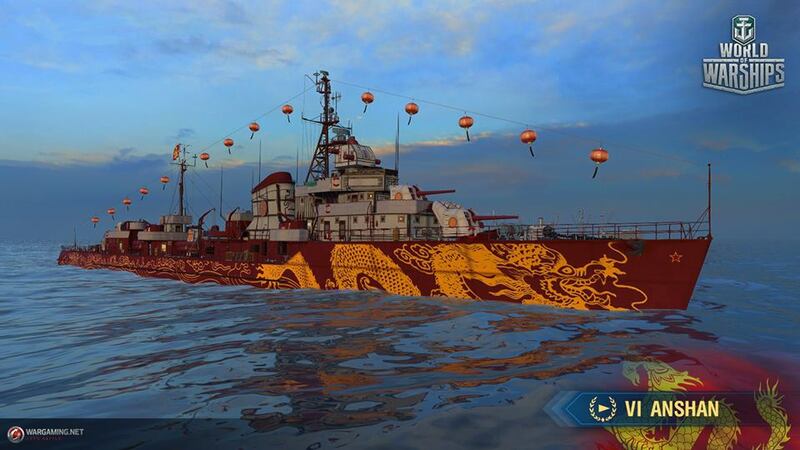 9x Lunar New Year 2019 containers and a special permanent camouflage for Premium ship Irian, available for 8 888 doubloons. 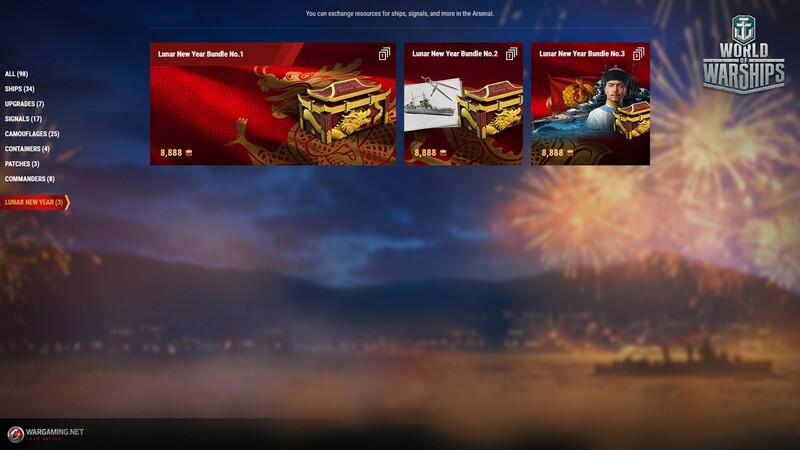 3x Lunar New Year 2019 containers, unique Commander Quán Róng, Premium ship Irian, and the “Irian” commemorative flag, available for 8 888 doubloons. Part of the gaming process in these Operations is tied to carriers. Unfortunately, at this stage bots have not been “trained” to cope with the new gaming process. Work is already underway to “upgrade” them, and we’ll make every effort to put these Operations back in the game. By popular demand, the graphics settings will now contain an option to configure the transparency of fog in battles. By default, it is set to the minimum value. Thus, players that are comfortable with fog in battles will not need to change anything. But if you feel like making fog in the game a little more transparent, switch its transparency setting to maximum. However, the fog cannot be removed completely using the game settings because this parameter is important for the visual perception of the game process. This setting will also help you configure the visual display in battles involving local weather activities. Fixed an issue which immediately removed a detectability penalty applied to a ship after firing if the ship has left the enemy’s line of sight. In Update 0.8.0, the penalty will work for 20 seconds irrespective of whether the enemy target sees the firing ship or not. Well, let’s step in for that one… They said before that it was an actual feature (one of the best we ever got in the game and that was adding some depth to the spotting mechanic) and now, it’s supposed to be a bug. Thankfully, A lot of players showed their disapproval of this change and there are some nice chances that they cancel this “bug fix”. Improved the interaction of shadows with the effects of fires, flooding, and smoke. Added a message to notifications for instances when a ship attains Elite status. The description of the peculiarities of Elite ships will be added as a tip window in the Modules tab. We reworked the geometry of armor protection for cruiser Mikhail Kutuzov, with more detail added. This change will not affect the combat performance of the ship. Minor improvements in the geometry and textures of the following ships: Akizuki, Mahan, Asashio B, Atago B, Dreadnought, Bourgogne, Hood, Perth, West Virginia 41, and Vanguard. Destroyer Kagero’s model was reworked. It was brought in line with the ship’s real model with numerous changes in the geometry of the hull and main battery turrets, thickness of smoke stacks, form of superstructures, location of anti-aircraft defenses and much more. This change will not affect the combat performance of the ship. 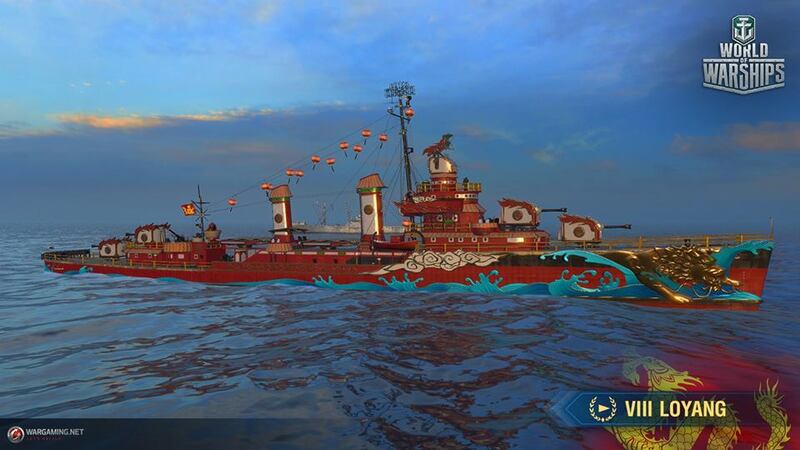 The “Urashima” camouflage was adjusted to match the new model of destroyer Kagero in the game. Fixed an issue which caused the incorrect display of the window used for purchasing Premium Account time in the game client. The “King of the Air” and “AA Defense Expert” achievements will no longer be displayed in the Achievements section of the Profile of players who have never earned any of them. Fixed an issue which sometimes made it impossible to maximize the Clan or Division chat. Fixed an issue which caused the carousel of ships to overlap with the missions of the “Mighty Prinz” campaign on screens with a resolution of 1,366 ? 768 or smaller. Fixed the visual display of battleship Hood in the carousel. Made minor changes to the Czechoslovakian Legions patch. The list of rewards in the Daily Shipments section now automatically shifts to the current day. Fixed the display of a service text in the description of reasons regarding the impossibility of selecting Clan Battles in the Campaigns window. Fixed the incorrect display of the combat missions banner when setting up a Division. Fixed an issue in the Operations selection screen, which caused the name of an Operation to stretch beyond the limits of its field. Fixed poor performance of the Port camera when flying over ship modules in the London Port. Enhanced the display of visual effects, which will no longer be disrupted when a player moves the camera. This, for example, helps to avoid breaks in a torpedo’s wake. Fixed an issue that caused a minor memory leak during a battle. Alright, now you know what you will have to deal with on this new update. On this, I can start working on the articles covering in depth the Russian battleships. please return CV game like before , is very urgent ….